In big news today, American retailer Tourneau has been acquired by European jewelry and watch retail giant, Bucherer Group. Not to be confused with the Swiss watch brand Carl F. Bucherer, which is also under the Lucerne, Switzerland-based retail group umbrella, Bucherer Group, acquired what is the largest US-based luxury watch retailer brick-and-mortar operation (not to mention e-sales) from Green Equity Investors. Tourneau once one of the premier forces in watch retailing in the USA, was established in 1900 in Europe by the Wexler family, which opened its first US store approximately 30 years later. Since then, Tourneau was family owned and operated for just about a century (until its sale in 2006 to Leonard Green & Partners for $355 million). Now, those owners have sold the retail giant to Bucherer. Upon its acquisition, the Tourneau chain has 28 retail locations in 10 states and has a valuable e-commerce site. In addition to carrying dozens of top watch brands, Tourneau is also a premier retailer of certified Pre-Owned watches. Ira Melnitsky, Chief Executive Officer of Tourneau, says that the acquisition is a strong move, as Bucherer Group has 130 years of history in the industry, much like Tourneau. So, what does it mean for Tourneau followers and fans? And, more importantly, what does it mean for American watch retailers? While it remains to be seen, we think this acquisition is both good and bad. For fans and shoppers of Tourneau, it means only good things. 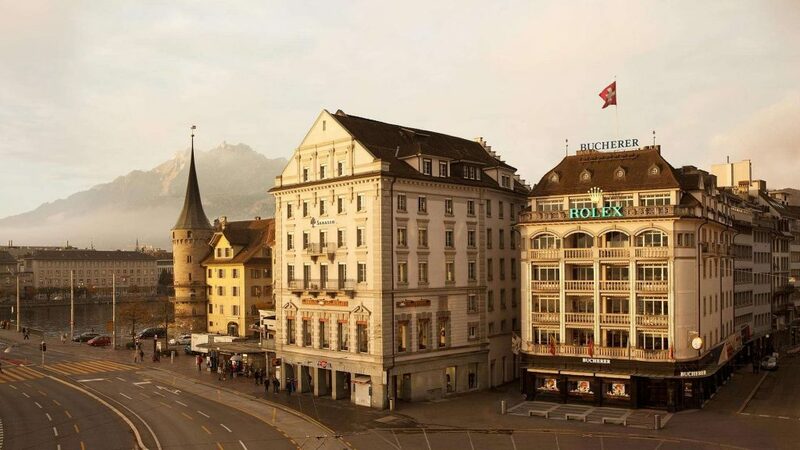 After all, the Bucherer Group is a stalwart retailer with stores through out Europe operating for decades upon decades. The brand is known for its service and its selection. The same has been true of Tourneau, so the synergies are nice. Additionally, Bucherer Group may be able to introduce some new brands to America via Tourneau stores, or at least via the incredible on-line reach of the Tourneau e-commerce platforms. It seems a win / win for the Bucherer Group, as well, which has indicated that the Group may put a renewed and stronger focus on its Carl F. Bucherer watch line, which has not been a household name among Americans to date. Provided Bucherer Group continues its smart business practices here, we expect “Tourneau” to continue strong. Still, one must wonder what this means for the state of American watch retailing and global growth of on-line e-commerce. American brick-and-mortar retailers are already working diligently to keep their customers especially with e-commerce on the rise. Having a very well-organized, well-oiled machine like the Bucherer Group coming into key major cities may have certain retailers rethinking their strategies and trying to figure out how to compete. I am an independent watch and clock professional. In my 15 years of experience in the New York area, I have yet to meet even one satisfied Tourneau customer. The ones who come to me speak of deceptive sales and repair practices, overcharging, rudeness and poor service. I am a big fan of Bucherer, but I am not sure they have made such a great deal.